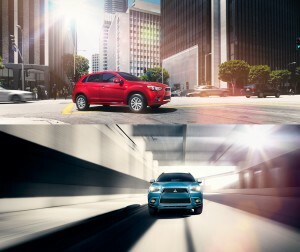 Photographer and director Anton Watts shot this years Mitsubishi Outlander campaign for advertising agency 180 LA. Art Direction by Gavin Milner and Art Buying by Nili Zadok. Wardrobe stylist Kelly Brown worked with photographer Carolina Palmgren to create Jovani Couture’s next Lookbook. Taylor Swift and Selena Gomez can frequently be seen wearing Jovani. To view the line, click here. Photographers — Comments Off on Ture Lillegraven’s My Chemical Romance photo on the cover of Spin! 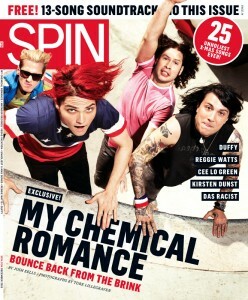 Ture Lillegraven’s My Chemical Romance photo on the cover of Spin! Photographer Ture Lillegraven shot the band, My Chemical Romance, for Spin Magazine. Director of Photography: Michele Egiziano. Read about the shoot here. 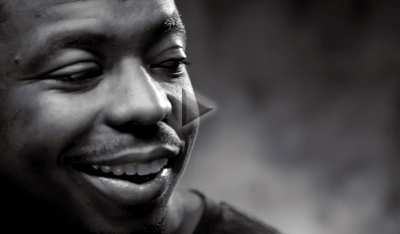 Director and photographer Kevin Zacher directed this video and did a print shoot for Holden Clothing. Art Direction by Mike LeBlanc. Photographer and Director Michael Lavine shot portraits and directed a video of AMC’s “Breaking Bad” star Bryan Cranston for New York Moves Magazine and online magazine. Bryan Cranston – Video Portrait from Michael lavine on Vimeo. Click to read Michael’s blog post about this project. Anderson Hopkins’ photographer Therese Aldgard worked with Anderson Hopkins’ hair and make-up artist Nicole Heffron to shoot a fashion story in the Hamptons for the magazine Plaza and their fashion editor, Carmencita Lundsten. Hair by Katsumi Matsuo. Stephanie Hsu at Interscope Music hired Michael Lavine to photograph David Sitek’s cover for his solo release, “Maximum Balloon.” Besides being a well known guitarist and producer in the music industry, David Sitek is also a member of the band TV on the Radio. “Maximum Balloon” was released on September 21st, 2010 and includes contributions by many guests including Tunde Adebimpe and Karen O. Read more on Michael’s Blog. New York city based make-up artist Nicole Heffron is now being represented by Anderson Hopkins. Nicole’s clients include Benefit Cosmetics, Rodebjer, Catherine Malandrino, Contributing Editor and Nylon.